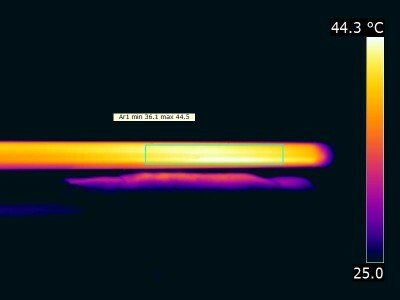 I-Save energy GmbH presents an LED tube. The measurements from OliNo show that the lamp emits a neutral white light with a color temperature of 4318 K. The lamp consumes 34.3 W and has a luminous flux of 4287 lm. 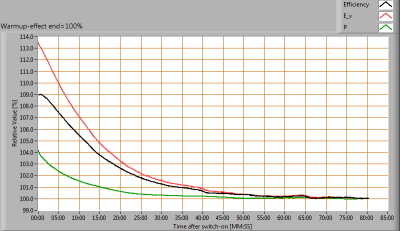 This results in an efficacy of 125 lm/W. The lamps energy category label is A++. Luminous intensity Iv 1240.6 Cd Measured straight underneath the lamp. 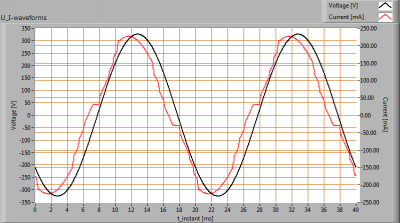 Illuminance modulation index 44 % Measured with a light sensor looking at the lamp (angle not defined). Is a measure for the amount of flickering. Beam angle 128 deg 128 deg is the beam angle for the C0-C180-plane (perpendicular to the length direction of the lamp) and 107 deg is the beam angle for the C90-C270 plane, which is along the length direction of the lamp. 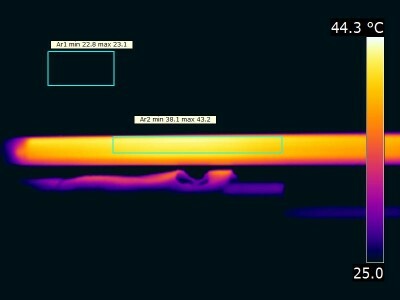 Power P 34.3 W Follow the link for more information on electrical properties. Power Factor 0.96 An electrical load with this power factor means that for every 1 kWh net energy consumed, there has been 0.29 kVAhr for reactive energy. 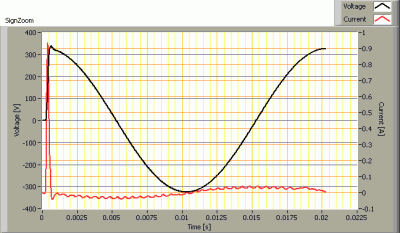 Max inrush current 0.934 A This current has been found at a voltage start angle of 90 degrees. CRI_Ra 83 Color Rendering Index. Fitting FL-tube This tube is from one side connected to the grid voltage. 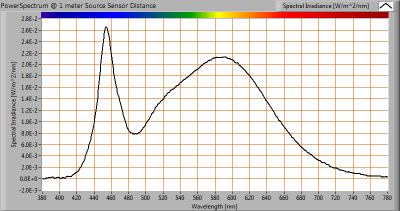 PAR-value 11.6 uMol/s/m2 The number of photons seen by an average plant when it is lit by the light of this light bulb. Value valid at 1 m distance from light bulb. Photon current 64.2 uMol/s The total number of photons in the light of this lamp. L x W x H external dimensions 1498 mm x 26 mm x 26 mm External dimensions of the lamp. L x W x H luminous area 1442 mm x 25 mm x 8 mm Dimensions of the luminous area (used in Eulumdat file). It is the surface of the opal cover through which the light comes out. General remarks The ambient temperature during the whole set of illuminance measurements was 25.6 – 26.2 deg C.The temperature of the housing gets maximally about 21 degrees hotter than ambient temperature. Warm up effect: During the warmup time the illuminance varies during 37 minutes and decreases with 12 %. the variation in efficacy during the warming up is -8 %. A very high negative value indicates a significant decrease for instance due to heating up of the lamp (decrease of lifetime). 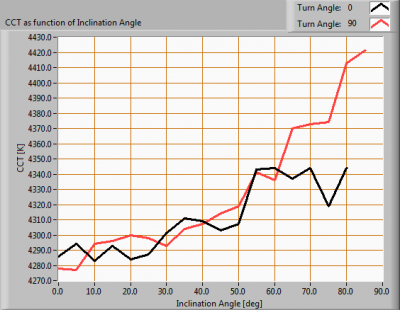 Eff-variation -8 % This is the variation in efficacy during the warming up. A very high negative value indicates a significant decrease for instance due to heating up of the lamp (decrease of lifetime). Biologic effect factor 0.609 According to pre-norm DIN V 5031-100:2009-06. Please note that this overview table makes use of calculations, use this data with care as explained on the OliNo site. 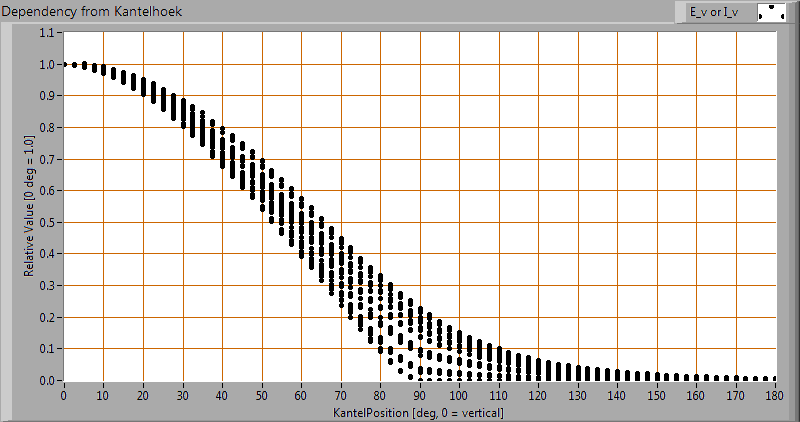 E (lux) values are not accurate, when within 5 x 1442 mm (maximal luminous size, eventually diagonally measured)= 7210 mm. Within this distance from the lamp (data given in red), the measured lux values will be less than the computed values in this overview as the measurements are then within the near field of the lamp. The measured rated power is 34.3 W and might need to be corrected. The correction is dependent from the lamp type and whether or not the lamp control gear is included or not. The choice for this lamp is the following classification: Lamps with own control gear (external or internal). 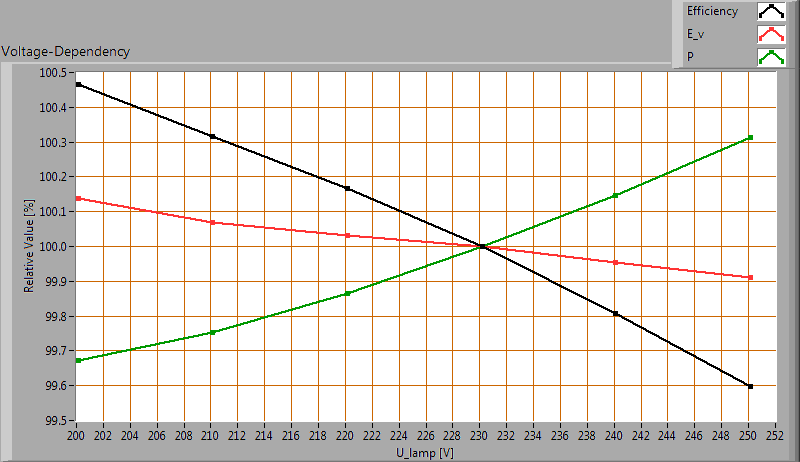 As a result the corrected rated power becomes: 34.3 W.
The luminous flux measured is 4287 lm. The classification of this lamp needed to determine the useful flux is: Non-directional lamps. Then the useful flux becomes 4287 lm. 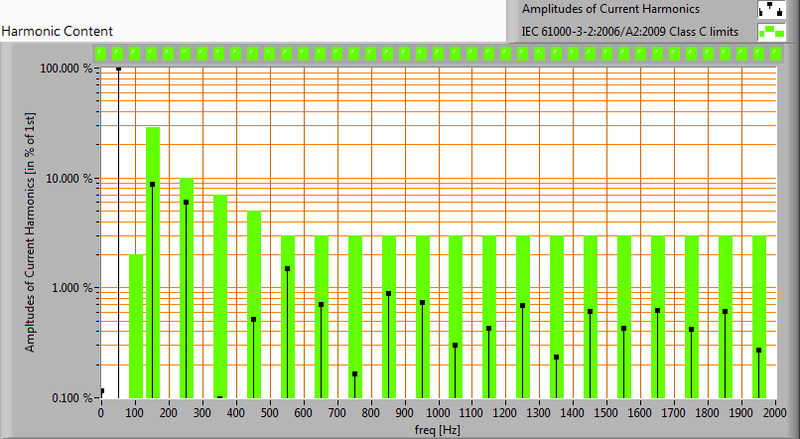 Now a reference power can be calculated. 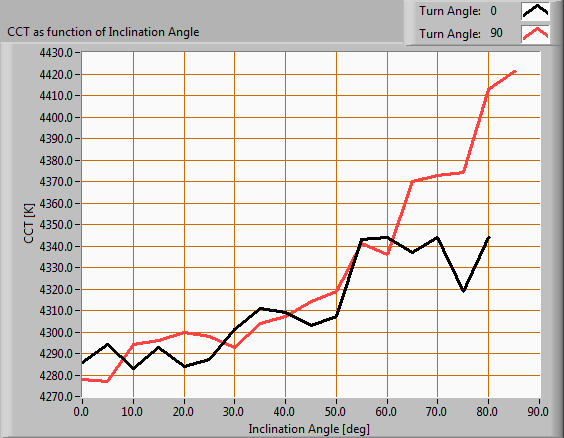 When using the average values per inclination angle, the beam angle can be computed, being 128 deg for the C0-C180 plane and 107 deg for the C90-C270 plane. 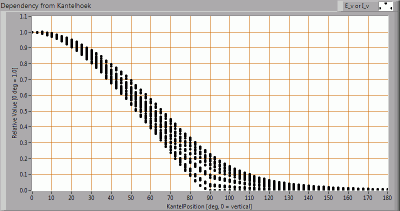 The result of this computation for this light spot is a luminous flux of 4287 lm. The luminous flux being 4287 lm, and the consumed power of the lamp being 34.3 Watt, results in a luminous efficacy of 125 lm/Watt. The power factor is 0.96. An electrical load with this power factor means that for every 1 kWh net energy consumed, there has been 0.29 kVAhr for reactive energy. 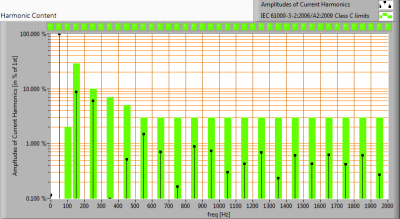 When the consumed power is > 25 W there are limits for the harmonics and those are fulfilled. 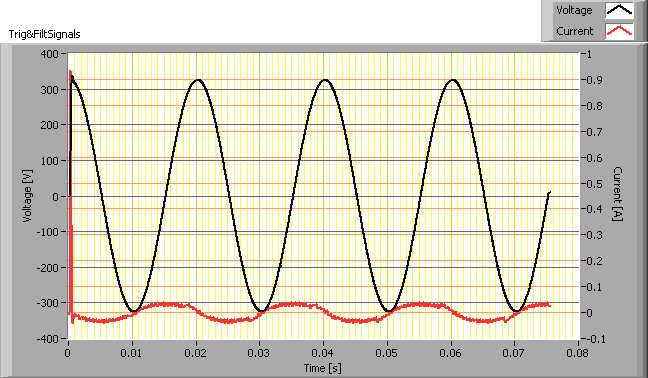 The Total Harmonic Distortion of the current is computed and its value is 11 %. Maximum inrush current 0.934 A This current has been found at a voltage start angle of 90 degrees. 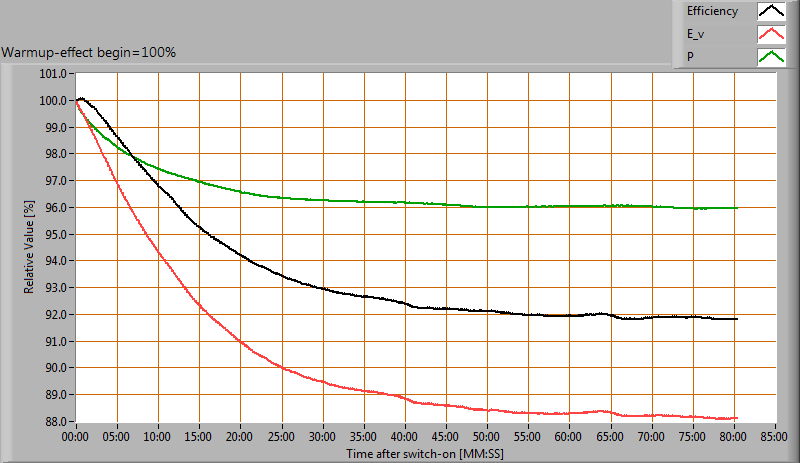 Pulse width of max inrush current 2.5E-4 s This is the time that the pulse is higher than 1/3rd of the max inrush current. 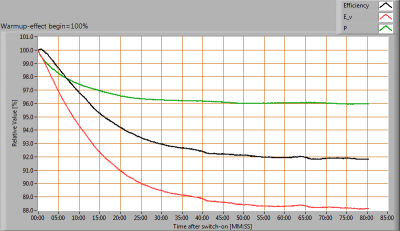 Minimal inrush current 0.059 A This current has been found at a voltage start angle of 0 degrees. 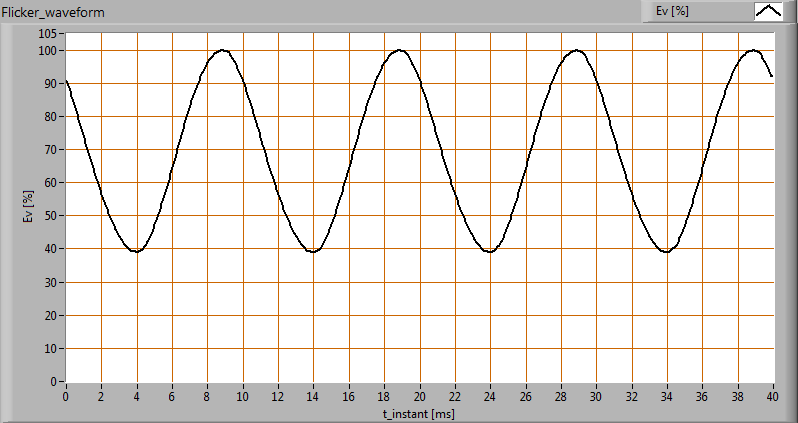 I^2 x t after 10 ms at 0 deg voltage start angle 1.100E-5 A This is the I^2 t value when a zero crossing detector is used to start the voltage from 0 degrees. The measured color temperature is 4318 K which is neutral white. 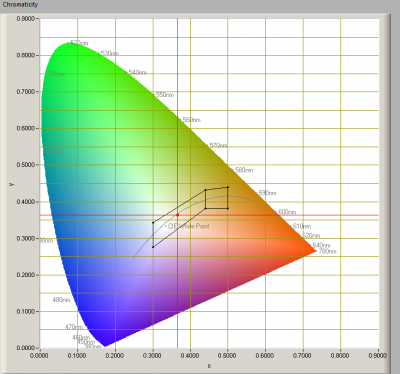 The color temperature is given for inclination angles up to 80 deg. 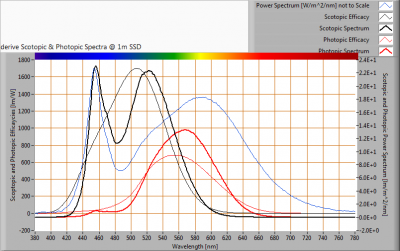 Beyond that value the illuminance is so low (< 5 lux) that it has not been used for color determination of the light. 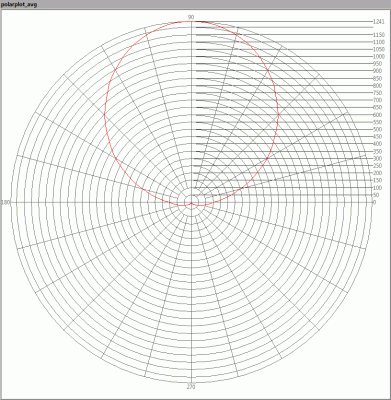 For the C0-C180 plane: the beam angle of 128 deg is equivalent to 64.0 deg inclination angle,which is the area where most of the light falls within. 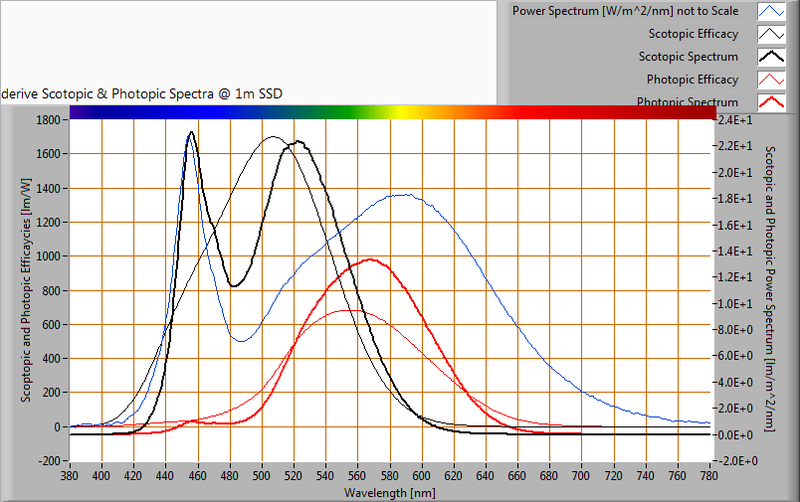 The maximum variation of color temperature in this inclination area is about 2 %. 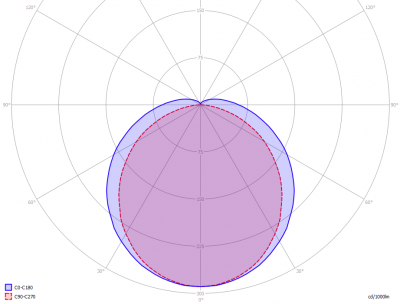 For the C90-C270 plane: the beam angle of 107 deg is equivalent to 53.6 deg inclination angle,which is the area where most of the light falls within. The maximum variation of color temperature in this inclination area is about 1 %. The PAR efficiency is 65 % (valid for the PAR wave length range of 400 – 700 nm). 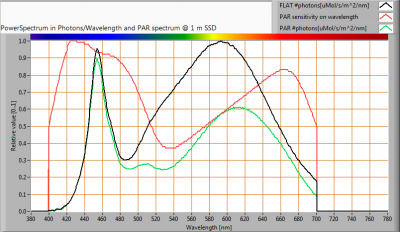 This is the maximum percentage of the total of photons in the light that is effectively used by the average plant (since the plant might not take 100 % of the photons at the frequency where its relative sensitivity is 100 %). The point of the light in this diagram is inside the area indicated with class A. This area indicates an area for signal lamps, see also the article on signal lamps and color areas on the OliNo website. The color coordinates are x=0.3663 and y=0.3630. 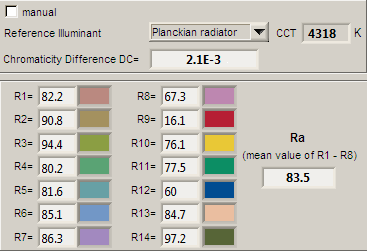 This value of 83 indicates how well the light of this lamp can render well a set of reference colors, this in comparison with the light of a reference source (for color temperatures < 5000K a black radiator is used as reference and for color temperatures > 5000K the sun or the light outside during the day). The value of 83 is bigger than the value of 80 that is considered as a minimum for working areas in general. Note: the chromaticity difference is 0.0021 and indicates the distance to the Planckian Locus. There is a value mentioned of max 5.4E-3 in section 5.3 of CIE 13.3-1995 however not further explanation of it. 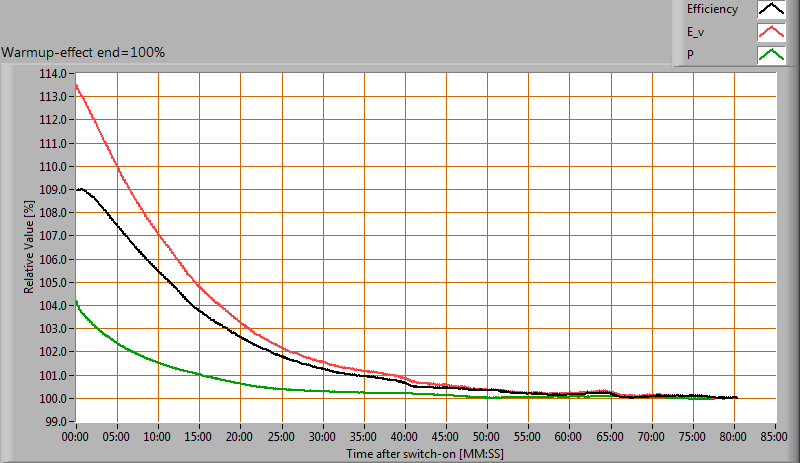 During the warmup time the illuminance varies during 37 minutes and decreases with 12 %. L_lum0 [mm] 25 Dimension of brightest part of lamp in C0-C180 direction. L_lum90 [mm] 1442 Dimension of brightest part of lamp in C90-C270 direction. SSD_500lx [mm] 1575 Calculated distance where Ev = 500 lux. This computation is valid when it is in the far field of the lamp. 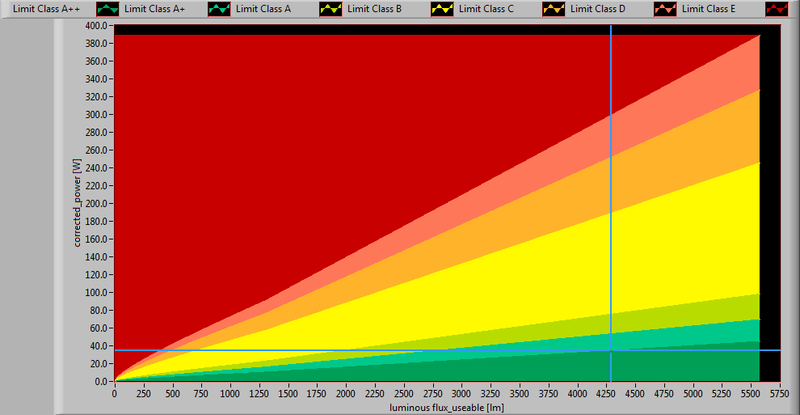 Note: if this value < 200 mm then the distance of 200 mm is taken as proposed in the norm IEC 62471:2006. Start of far field [mm] 7211 Minimum distance at which the lamp can be seen as apoint source. 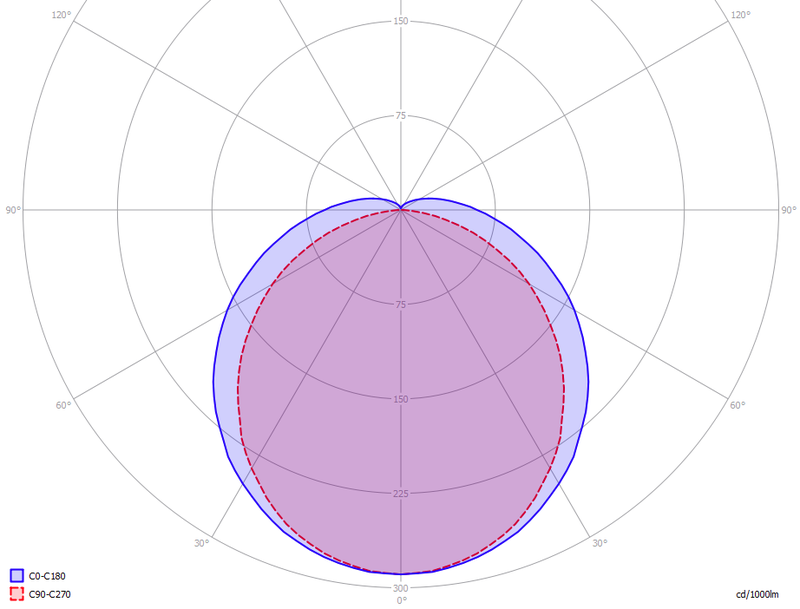 In this area the Ev is linearly dependent from (1/distance)2. 300-350 nm values stuffed with 0s no In the event OliNo has measured with a SpB1211 spectrometer without UV option then the irradiance data of 300-349 nm is missing. 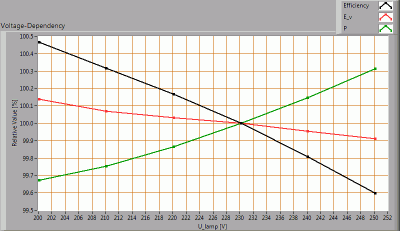 For lamps where there is already no energy content near 350 nm, the values 300-349 can also be set at zero then. alphaC0-C180 [rad] 0.016 (Apparent) source angle in C0-C180 direction. 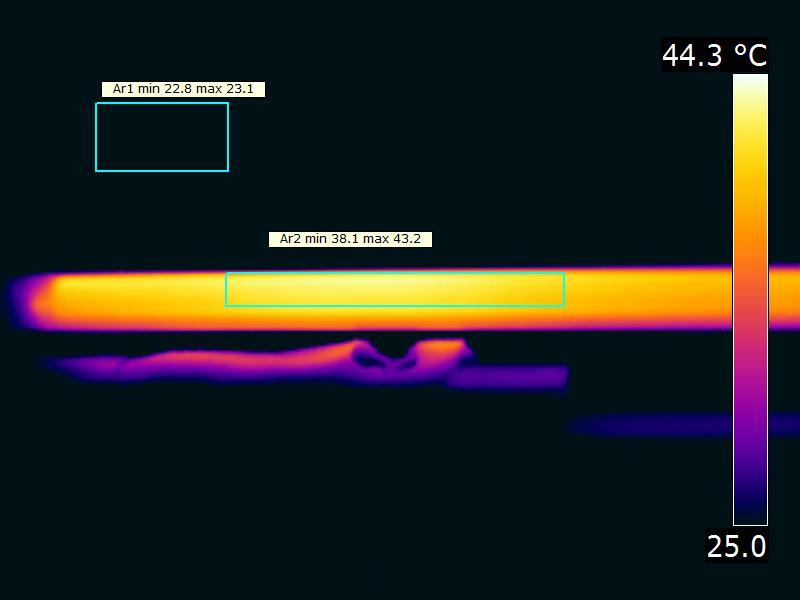 alphaC90-C270 [rad] 0.915 (Apparent) source angle in C90-C270 direction. 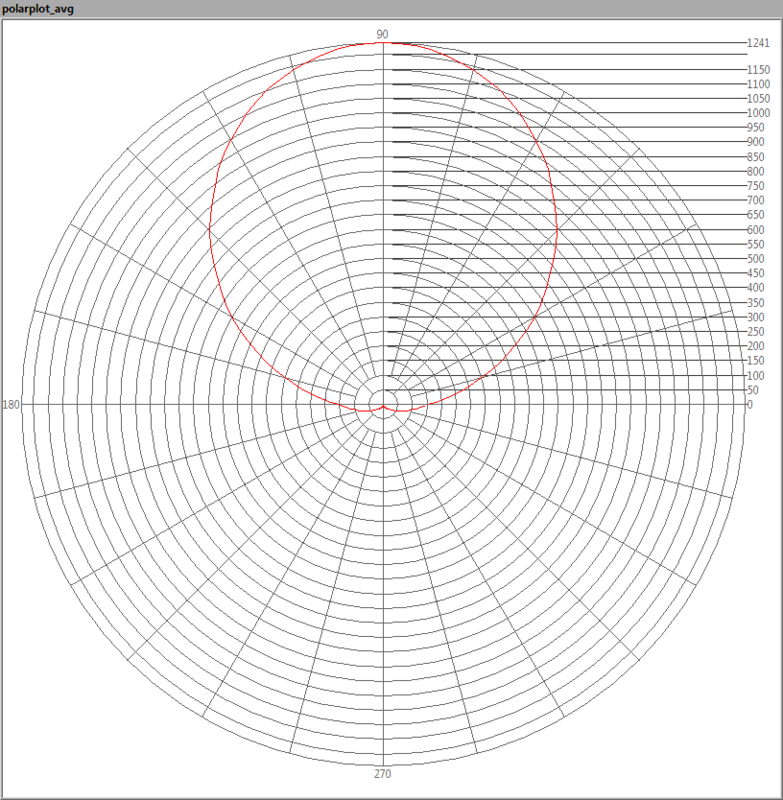 alphaAVG [rad] 0.058 Average (apparent) source angle. 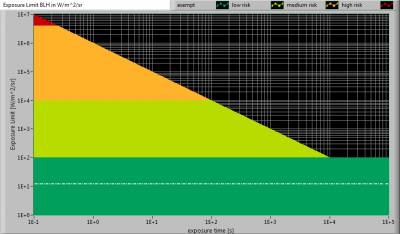 If average >= 0.011 rad then the exposure limit is computed with radiance Lb. Otherwise with irradiance Eb. Exposure value [W/m^2/sr] <1.20E+1 Blue Light Hazard value for this lamp, measured straight underneath the lamp. Computation is referenced to Lb. Because the distance at 500 lux is in the near field, then this exposure value is too pessimistic and should be lower. Would you please provide us your best price for the i-save-energy TYPE: PLUSLED REF: T8G0254X12050W-12, Quantities 50 pieces.